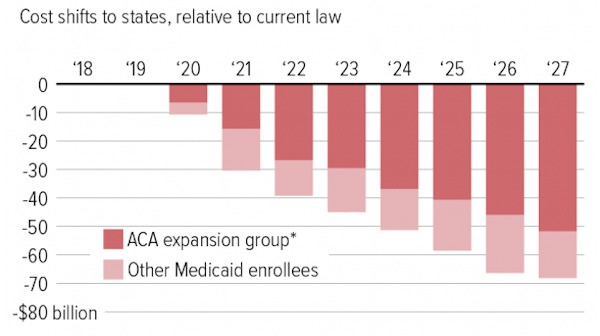 Notes: * Enrollees under the Affordable Care Act’s Medicaid expansion. Data Source: CBPP analysis using Jan. 2017 Congressional Budget Office Medicaid baseline and inflation estimates from CBO and the Centers for Medicare and Medicaid Services. This entry was posted in Data Watch on March 15, 2017 by Genevra Pittman.